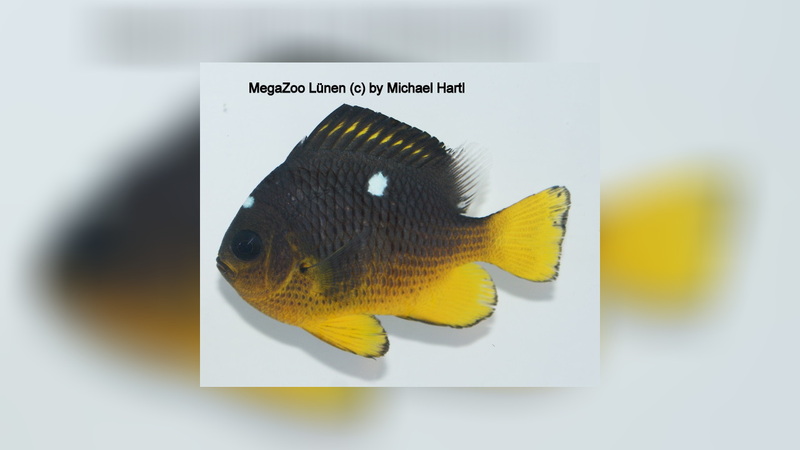 Dascyllus auripinnis, also called the Golden Domino Damsel, they are to find in the from the Eastern Central Pacific. 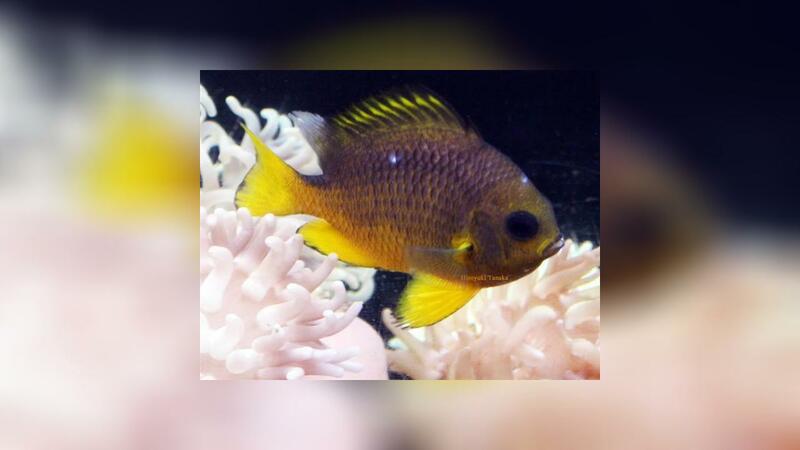 Dascyllus auripinnis exhibit a golden yellow coloration on their lower half along with the black body and white spots often associated with regular Domino Damsels. 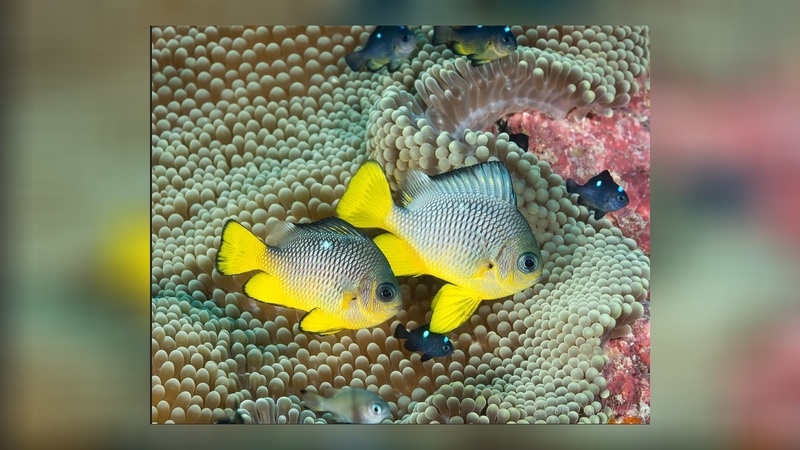 As with many damsels, these may become very aggressively territorial. 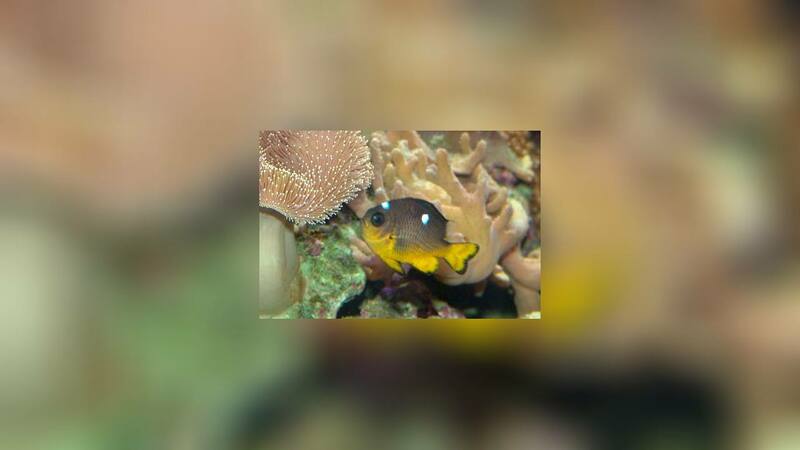 It occasionally makes its way into the aquarium trade.